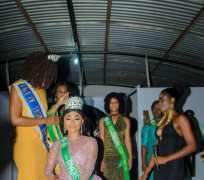 Miss Rivers, Stephanie James has been crowned the Miss Nigeria Icon in the 2018 edition of the pageant. Miss Stephanie James, a beauty and fashion entrepreneur has emerged overall winner of the Miss Nigeria Icon contest. Miss Nigeria Icon is a non-bikini beauty queen contest that seeks to reward outstanding women, campaign on domestic violence and sexual abuses against women/children, and ultimately empower the women and children against economic vulnerability and susceptibility to violent abuses. In a keenly contested competition held over the weekend, Stephanie James, beat a dozen other eminently qualified contestants to clinch the coveted crown.